Ian Mune (Ian Barry Mune) OBE is a New Zealand character actor, director, and screenwriter that was born in 1941 in Auckland, New Zealand. He grew up on a farm near Tauranga. He attended Wesley College in New Zealand. He was awarded an OBE for his services to Film and Theatre in 1991. He has been acting for over four decades. He married writer Josie Mune whom he currently lives with. He was training to becoming a teacher while pursuing acting on stage at the same time. His love for acting won and The Royal Shakespeare Company made him a job offer. 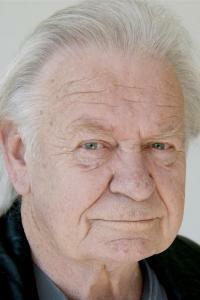 His first acting appearance was in drama series Pukeman in 1971. He won a Feltex award in 1975 for starring in television drama show Derek. He won an award for playing Prime Minister Sir Robert Muldoon in television series Fallout in 1994. He is known for Once Were Warriors (1994), The Piano (1993) and The Lord of the Rings: The Fellowship of the Ring (2001). Some screenplays, he has written, includes The Whole of the Moon (1997), The Silent One (1985) and The End of the Golden Weather (1991). He has directed nine TV episodes.